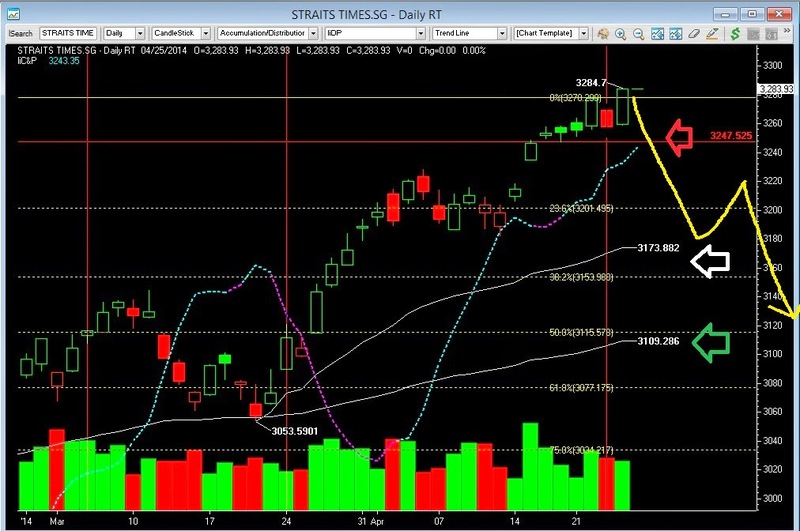 Yesterday we post about STI correction is coming if STI cross below 3247, However STI continues to marching higher and closed at 3284.7 +25.92 points. This closing is also +4.7 points above the long term sloping down key resistance line measured from 3464.79 recorded on May 2013. However, Our STI chart reading remain the same, STI will start correction if break below 3247. Trading strategies: Now is time to remember to sell into strength and No positions is also a positions.